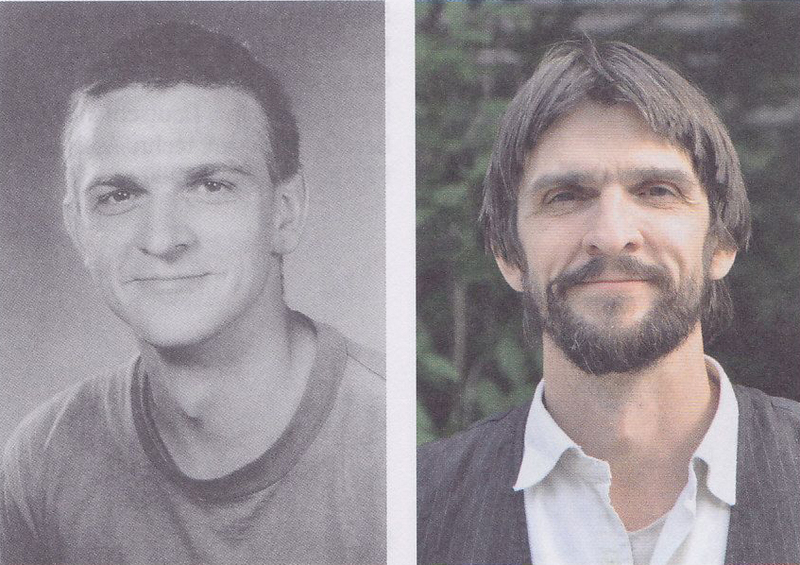 Wolfgang Adolf Stauber; left: 15/08/1987, right: 5/09/2010. Source: OM, pg. 487, 2011. For two years I’m living in dispensation and realize that I cannot continue to torment myself any longer and a decision is due. My way to question things and not just run and scream hooray and raise people to heaven or demonize them, has accompanied me through life, has led me to FIGU and leads me now to a place, that I still don’t know, but that remains connected to the reality of nature and its fundamental strength and wisdom. It is not the creative commitment, which left me in despair, but unfortunately, behaviors and practices which I have experienced, which I simply can no longer cope with and which I don’t want to whitewash here. It is quite possible that I lack the proper understanding or the necessary intelligence, maturity and wisdom – well – then – that’s how it is. Yes – I’m hurt, yes – I have difficulties with myself, yes – I miss so much, I know, but I do not need fingers to point that out, which are perhaps not entirely clean themselves. Nevertheless, I have tried my way to get my foot inside the core group, find my place, and make my contribution. Unfortunately, I never really succeeded to fully blossom in the community. Although constant doubts were my often unpleasant and unwelcome companion, the actual elementary teachings of life were never affected by them. I am also humanly connected to all members, have respect for their efforts and achievements and cherish friendly feelings for quite a few of them. Of course I’m holding nobody responsible for my inner conditions because there are things which only I can solve by myself. All these internal and external circumstances and the increasing loss of confidence in the leadership of FIGU, caused by inconsistencies and for me sometimes incomprehensible actions, as well as those destructive talks behind the backs of others, led especially in recent years to an inner erosion as well as unhappiness in me that had an increasingly damaging and depressing effect on my thoughts and feelings. Abruptly and violently I awakened from my FIGU existence. I don’t want to discuss or even argue anymore what is right and wrong because there are only limited ways of how we perceive the things, nor would I ever dare to say that I see all things correctly and judge righteously. I live in my own perception, like you in yours, that’s the point I am trying to make. For all these reasons, I presently do not see myself able to live a reasonable FIGU life again, so another core group membership simply does not make sense and would be dishonest and unsupportive for both sides. So I hereby cancel my membership by the end of June 2016. Rivers can be divided, but they can also flow together again, so I will see the future brighter and more confident and trust in life and in my own thoughts and powers. The quitting of FIGUs core group, which is still troubling me, has demanded a lot of strength and courage to stand up for myself and my beliefs. The fact, that nothing good is left for the resigning members, who are only displayed in the light of troublemakers, know-it-alls, self-pitiers etc., deeply saddens me. This fact led me to create here together with the other ex-members an opportunity, where our views and actual motives find a space and offer to those interested the option to inform themselves about our point of view – i.e. equal rights for all. In no way are we talking about a conspiracy to damage the FIGU because the value of the FIGUs published writings are not doubted in their basic features. I would also like to emphasize that the opinions between those who resigned from the organization certainly are of heterogeneous in nature, so everyone here speaks for themselves and not for the other. Truth is a big word that we all take for granted, like love, but lags its own account that these high values really live up to. What is repeatedly tested by life itself ultimately cleans everything we have wrongly created. So these laws act, of course, within the FIGU as well as within every human and will always cause unbalance leading to ultimately failure. Apportioning blame is always the easiest way for many, and very gladly we let ourselves only be allured by black and white pictures. In my opinion, there are always many causes behind events, internal and external, positive and negative, progressive and inflammatory, as this is the nature of every human being. Life never showed me that this is not the way it is. So it will not come into my mind to condemn other people and presumptuously stand over them. It will also not come into my mind, to see myself as a choirboy, being certainly aware of how far I am away from that. My respect I want to hold true for all people, also for all those who take the time to look behind the scenes. Thus, I have said what was still inside my heart. May everyone make up his own thoughts, because ultimately, only from these can actual conclusions be made. Are usually the malicious ones! 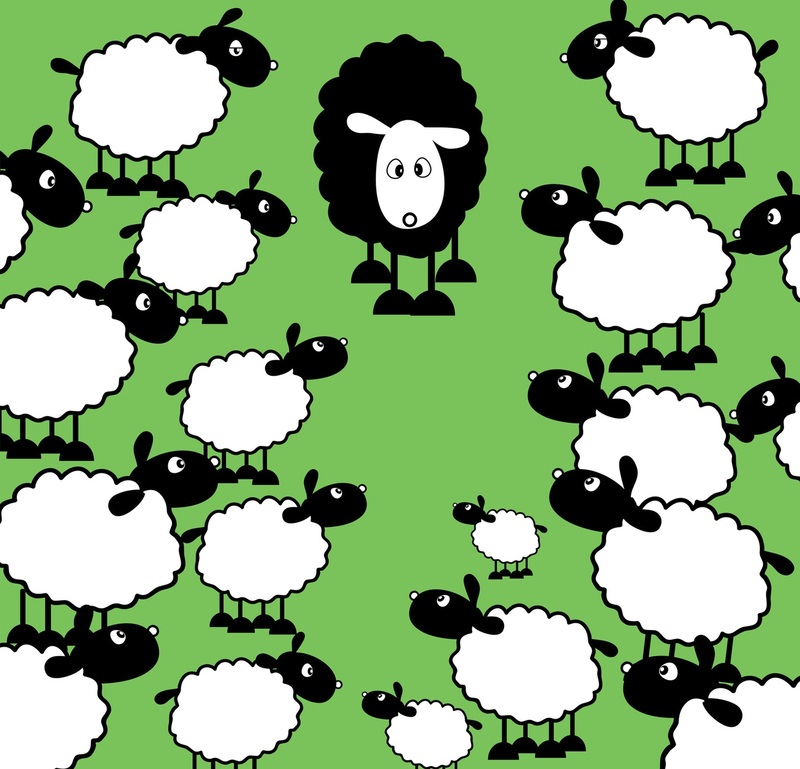 A small poem about the black sheep, referring to himself (Wolfgang) never being able to truly be a part of the FIGU community, as he writes in his resignation letter.